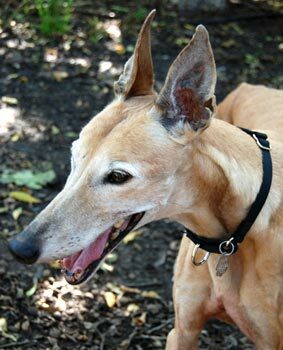 Seniors are the best kept secret in the Greyhound World. 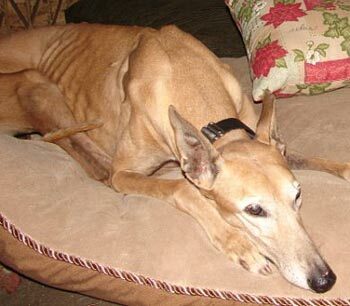 Please consider giving an older greyhound a special place in your heart! 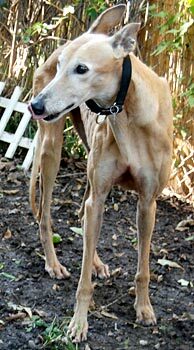 GALT has taken in 7 of the oldest greyhounds from a farm closing in south Texas. 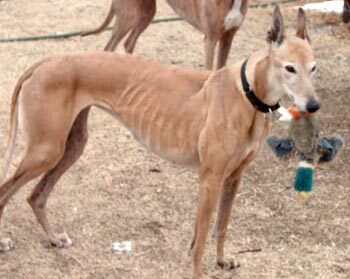 Four of these are Irish-born and bred, so they are GALT's O'Greys - ChaCha, Foxie, Patty and Madge. The other three are JoJo, Nice Girl and GoGo. Each has completed all medical procedures, losing most of their teeth from the severe dental condition. 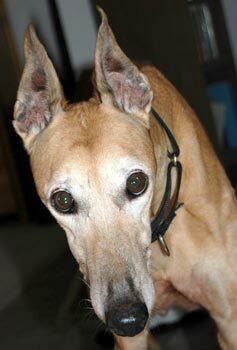 There is nothing like a senior greyhound! Please consider making a place in your heart and home for one of these girls. All they need is a soft place to lay and food for their tummies. 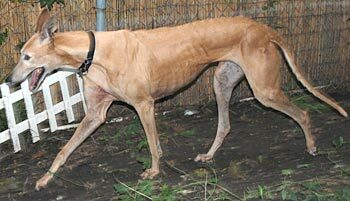 Jojo, aka JL’s Kristy Jo, is a 14-year-old red female born January 6, 1996. Her sire was Forbes Romeo, and her dam was Ole Betsy. Jojo raced for a brief time in 1997 in Florida for only 13 races. 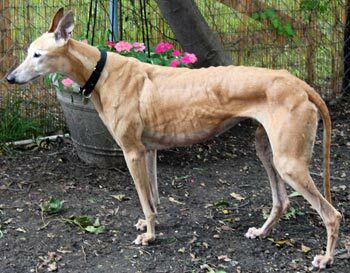 She was then a brood mom to two litters, one with Rocksteady Eddie, with 4 registered pups born December 29, 2000, and the other with Flawless Start producing 6 registered pups born October 3, 2003. 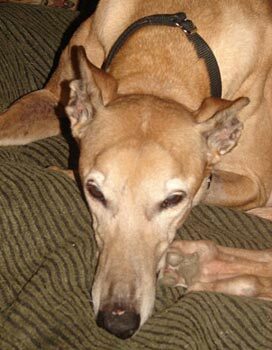 Jojo, along with Nice Girl, came into GALT’s family because of a Texas farm closing. Her medical procedures have been completed, and after an extensive dental has only 4 canines remaining. She suffers from lumbosacral stenosis and is receiving medication which will be for the rest of her life. JoJo is small dog and cat tolerant. with one of her toys! JoJo is a beautiful girl with a huge spirit to match. She loves affection and you can’t help but give her lots of it. She gets along greyt with all the other dogs in her foster home, and they’re very respectful of her. Even the new fosters that come through seem to know. JoJo is also good with cats. She was a little startled to see the new creatures at first and had to check them out. Now, she is so over them. Her house manners are impeccable. She’s familiar with the doggy door, but when it’s closed, she comes and tells you she wants to go out. It’s not a verbal signal; she’s just more persistent with wanting affection, so when you get a clue and stand up, she leads the way. Mostly, she does a lot of sleeping on a cushy dog bed, but when she’s outside she trots and prances around enjoying herself and the day if it’s sunny outside.